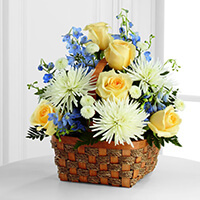 Provide comfort for the family of Rita Stahl with a meaningful gesture of sympathy. Rita Louise Stahl, 80, of Westbrook and formerly of Waldoboro, passed away January 14, 2019 at the Springbrook Center in Westbrook. Rita was born on March 12, 1938 in Friendship, Maine to Floyd Wotton and Adeline (Creamer) Wotton. She attended local schools, graduating from Waldoboro High School and she attended 2 years at Gates Business School. Rita married John Stahl on October 10, 1959. They celebrated 40 years of marriage prior to his death in 2000. Rita worked as a bookkeeper for Hadley Miller, Dr. Henry Bither, the Deerskin Shop, Weston’s Hardware and also as an aide at Medomak Valley High School. 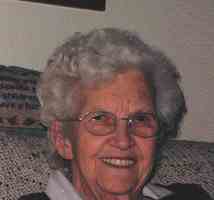 She enjoyed visiting with people when she could, and volunteering at the Waldoboro Methodist Church when she was able. Her Christian faith was a significant source of guidance, comfort and strength throughout her life. She especially enjoyed children and animals. Rita was considered a second mother to several of her children’s childhood friends. Rita was predeceased by her parents Floyd and Adeline Wotton, her husband John Stahl, sisters Janice Wotton and Marilyn Burkett. She is survived by her daughters Wanda J. Stahl of Westbrook, Karen M. Stahl of Westbrook, John L. Stahl of Westbrook, granddaughters Caitlin Stahl-Hodgkins of Boston, MA. and Marissa Stahl-Hodgkins of Westbrook. A Memorial Service will be held at the Waldoboro United Methodist Church in Waldoboro on Saturday, January 19, 2019 at 10:00 a.m., with Reverend Bob Dorr officiating. Burial will be in the spring at Dutch Neck Cemetery. We encourage you to share your most beloved memories of Rita here, so that the family and other loved ones can always see it. You can upload cherished photographs, or share your favorite stories, and can even comment on those shared by others. BU School of Theology Contextual Education Office and Kim, Kent, Court, and Pam have sent flowers to the family of Rita L. Stahl. BU School of Theology Contextual Education Office purchased the The FTD Heavenly Scented Basket for the family of Rita Stahl. In loving memory of Rita. Our condolences to Wanda, Karen, John, and their families. Kim, Kent, Court, and Pam purchased the The FTD Truly Loved Basket for the family of Rita Stahl.